WOW!! !…8Oth Anniversary!!! The Kit-Cat Clock is having a Birthday!!! 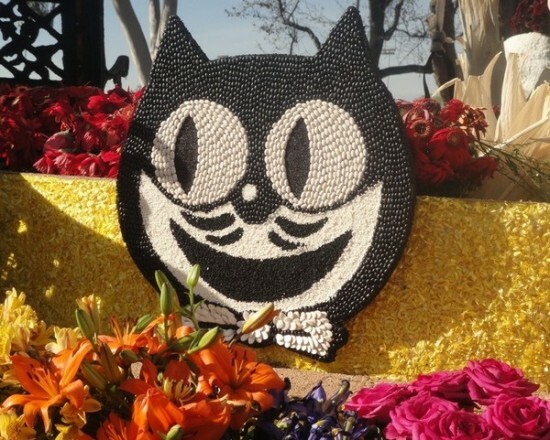 They started the 2012 Anniversary Celebration with a Kit-Cat Clock Float in the Pasadena Rose Bowl Parade!!! So cool…as part of the celebration, they are asking proud owners to post a picture of their own clock in their Kit-Cat Hall of Fame!!.. Allee don’t you have a Kit-Cat Clock?? 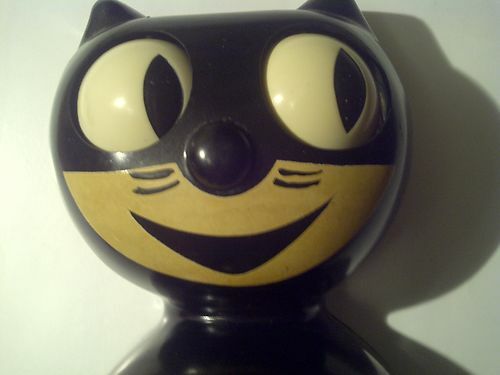 When I saw the site, it made me wonder how many AWMOK aKitschionados own a Kit-Cat clock?? Doesn’t Michael Ely have one?? ?…Kooky Kitsch??? You are so lucky to own one, I used to see them all the time??? The California Clock Co. from Portland Oregon?…huh? ?…made their first clock 1932!! The clocks from 1930’s-1950’s have “Two” Paws, the clocks made after that have “Four” Paws and a Bow Tie.. Most clocks sold since the 1980’s have batteries. From Ebay…here is one of the sweet 1930’s “Two” Paws….WOW!!! Look at that face!!!! These are timeless. And SO deserving of a parade!! Yes, I have one, tho dead for years. But it’s an oldie, not a repro. Love that there’s an easy guide to dating them. I would have died had I been at that parade!!.. When you have some time…I’m wondering if this site would help with your clock??? Oh my gosh, that float!! I love it!! I have a Kit Cat Clock, mine is red. He doesn’t tick so good, though. Red is Fab! !… Isn’t that parade float something…how smart of them! 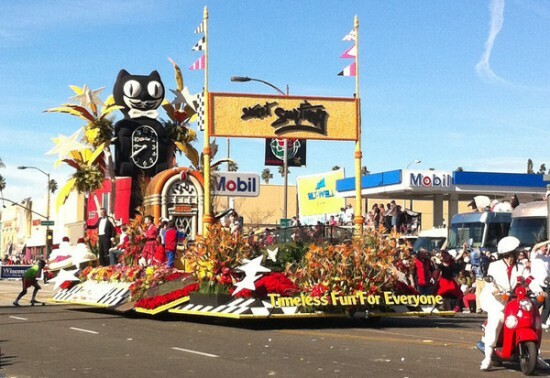 It would be so much fun to be able to work/volunteer on the Kit-Cat float!!.. They have a Dr Kit-Cat site? ?…wonder if their site would have any helpful info for your clock??? I’m so glad you linked that.. I’m going to try some of their tips and maybe I can get it working again.